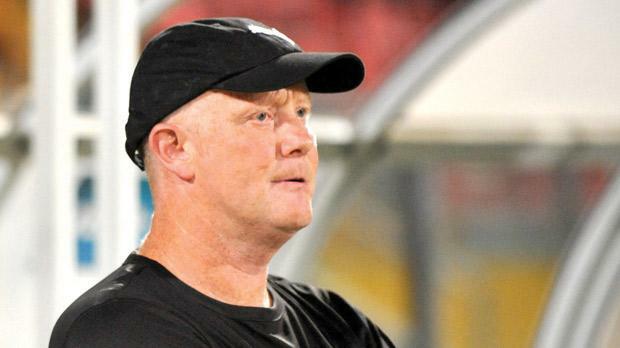 Mark Wright looks to have relinquished his duties as Floriana coach. Mark Wright is expected to take up a new role at BOV Premier League club Floriana as the former Liverpool defender must remain in England for the time being because of important family matters. After being named as Floriana’s new coach at the start of the season, Wright presided over the team’s first two Premier League matches but he then took leave of absence to fly back to his country. Wright had been expected to resume his duties at Floriana after a short time but he has been away for the last six weeks now, leaving the team in the hands of assistant coach Alan Lewer. The 49-year-old’s lengthy absence inevitably cast doubts over his future, prompting Floriana’s top brass to launch a search for a new coach earlier this month. Stephen Speed, the Floriana CEO, yesterday told The Times that Wright is likely to move to a new role within the club. Floriana, who are bankrolled by UK businessman Stephen Vaughan Sr, have spoken to a number of candidates for the coaching post but are no closer to making an appointment. Sources have told The Times that Floriana reopened talks with John Buttigieg, the former Malta coach, over the weekend. Danilo Doncic, who resigned as Tarxien Rainbows coach after only two league games, is also being linked with a return to Floriana after the Serb led the Greens in season 2007/08. Doncic has just completed the UEFA Pro Licence coaching course in Bulgaria. Meanwhile, experienced goalkeeper Tony Warner and Francis Jeffers, the former Arsenal and Everton striker, are set to make their official debut for Floriana in Saturday’s derby against Valletta after joining the Greens until the end of the season. The English duo flew to Malta last week to finalise talks with Floriana who are seventh in the Premier League standings with nine points from seven matches. Warner made his first appearance for Floriana in a friendly match against Division One side Żejtun Corinthians. The 38-year-old didn’t enjoy a happy debut as the Greens lost 2-1. Warner has been on the books of several UK clubs, including Liverpool, Fulham and Scottish side Celtic. Last season, Warner, who was capped twice by Trinidad and Tobago, played for the New Zealand-based Wellington Phoenix in the Australian A-League. The 31-year-old Jeffers has a dis-tinguished CV after spells with Everton and Arsenal but, in the last few seasons, his career has taken a downward spiral. Last season, Jeffers, who was capped once by England, turned out for Newcastle Jets in the A-League. After signing his contract with Floriana, Jeffers flew back to England to bring his belongings. He is due to return today.